GRANDVIEW PARK SUMMER SERIES FREE FAMILY FUN! 3 DAYS IN 3 MONTHS! 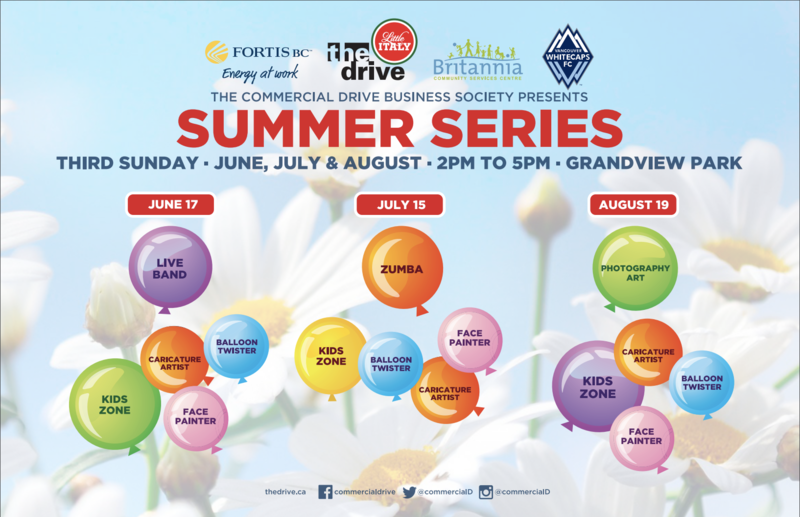 The Commercial Drive Business Society brings you a series of FREE, interactive family events at Grandview Park (Commercial Drive at Charles Street). 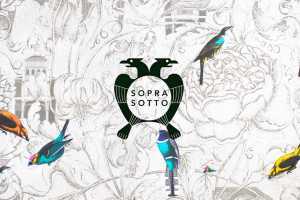 Join us on the third Sunday this June, July and August, from 2 pm to 5 pm. LIVE BAND on the MAIN STAGE: Buddy & the Scarecrow play R n’B, Rock, Blues, Reggae, Country-Rock, Jamband, Soul and Contemporary Hits. ZUMBA on the MAIN STAGE: Be ready to jump in and be a part of this exhilarating class. Zumba Vancouver will provide motivating music with high-energy dance and fitness.